« Welcome to the Official Fire and Flames Fashion Show ! New Fire and Flames Riotwear Winter Collection 2014 now available! AFTER SOME DELAY FINALLY AVAILABLE! 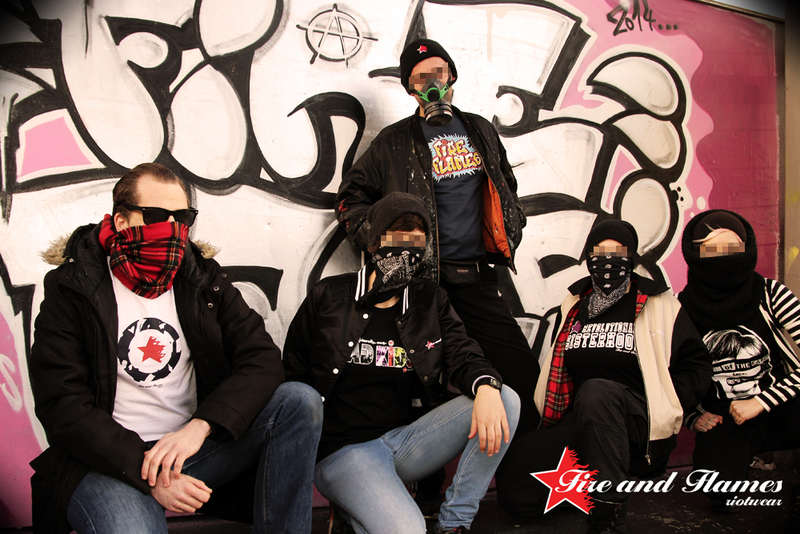 Five clever shirt motives of the brandnew Fire and Flames Riotwear Winter Collection 2014: „Wild Style“, „Falling Empire“, „Bad Kids“, „Revolutionary Sisterhood“ and „Scum of the Earth„! Printed on Continental Clothing Fairtrade Shirts for the very first time. Stop losing time and don‘t wait to order your personal shirt here. YEAH!